WSLHD Integrated and Community Health acting director of nursing Jennifer Fitzsimons, Nurse of the Year Natasha Maunsell, People’s Choice Award Nina Livingstone, Excellence in Clinical Leadership Award Premalosani James, Innovation Award Rowena Urkweiss and Graduate of the Year Award Megan Allen. 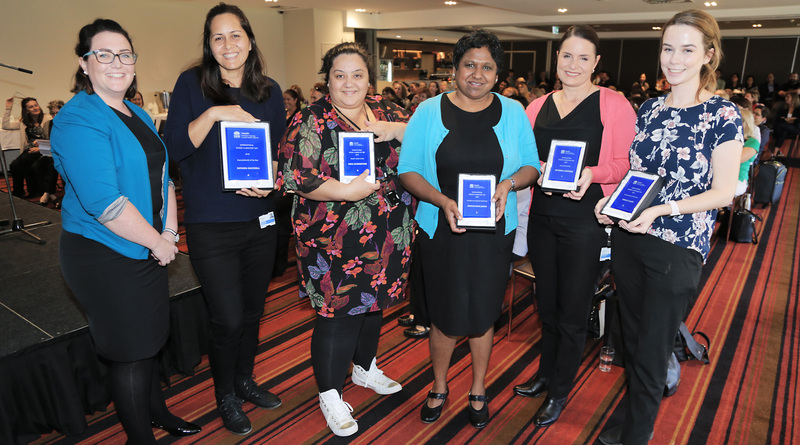 Five nurses have received prestigious awards as part of the ongoing district celebrations for International Nurses and Midwives Day. More than 140 staff attended this presentation including WSLHD Nursing and Midwifery representatives and Integrated and Community Health executive members. WSLHD Integrated and Community Health acting director of nursing Jennifer Fitzsimmons said staff celebrated the diverse range of services provide to the community. “I’d like to congratulate and thank all nurses and midwives who on a daily basis show compassion, integrity and dedication of the health of all patients, families and carers of Western Sydney” she said.